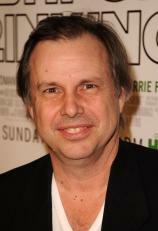 Todd Fisher is a director, cinematographer, and producer of television, films and documentaries. He lives in Las Vegas, Nevada, with his wife, Catherine Hickland. In December 2016, the world was shaken by the sudden deaths of Carrie Fisher and her mother Debbie Reynolds, which occurred in less than 24 hours. The stunned public turned for solace to Debbie’s only remaining child, Todd Fisher, who somehow retained his grace and composure under the glare of the media spotlight as he struggled with his own overwhelming grief. Now, Todd shares his heart and his memories of Debbie and Carrie with deeply personal stories from his earliest years to those last unfathomable days. His book celebrates their legacies through a more intimate, poignant and often hilarious portrait of these two remarkable women than has ever been revealed before.